It’s fresh and full of citrus colours… it looks cheery and happy… much of this blanket was crocheted either on the way to, on way back from or in New Zealand. I think it has the light carefree vibe that our holiday had. I love the three dimensional aspect of these flowers. I was originally going to have more of them… but it didn’t quite work… now I’m glad it didn’t. I think nine flowers is perfect. Besides, it works with my OCD about numbers… nine is a great number in numerology and it’s one of my faves. 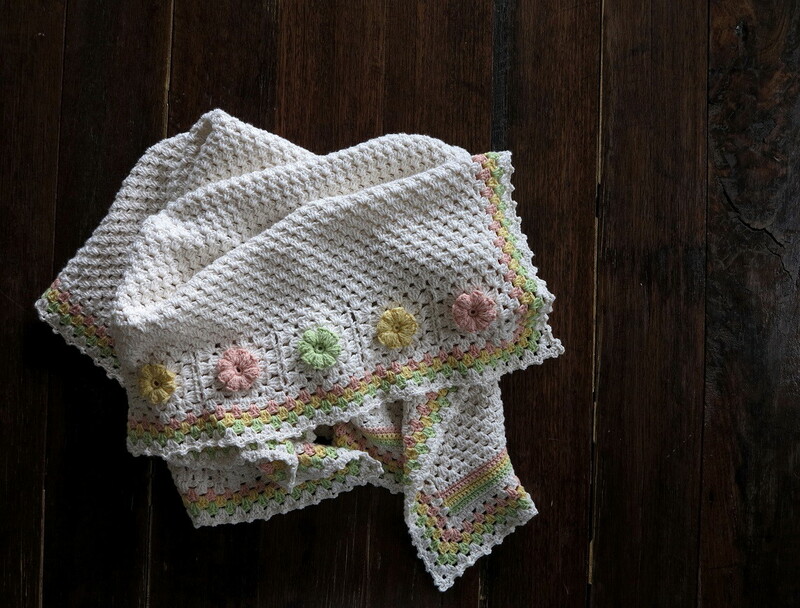 I wrote about the patterns I’ve used in this blanket here. And I found a lovely subtle little edge pattern on pinterest here. 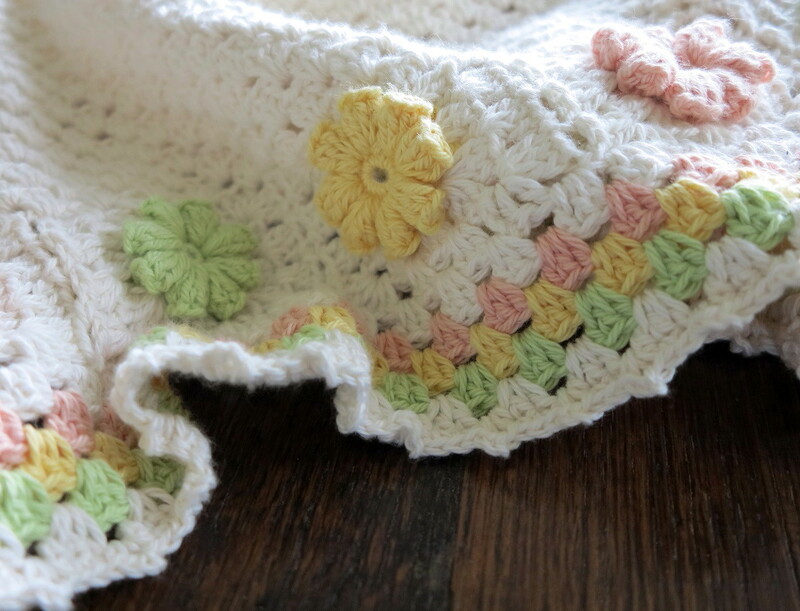 I love the fresh burst of sunshine I feel with this blanket, it will be going into the shop soon to join a heap of others… all with their own vibe and personality. I have such a stash blankets that I’ve made… sometimes I wonder if I will ever sell them all… sometimes I wonder if it’s wise I put so much of my time, love and energy into making stuff… but then, out of the blue, I’ll get an email that makes me realise something very important. I am doing exactly what I am meant to be doing. I was thrilled to receive this lovely photo of one my blankets with it’s gorgeous new owner. 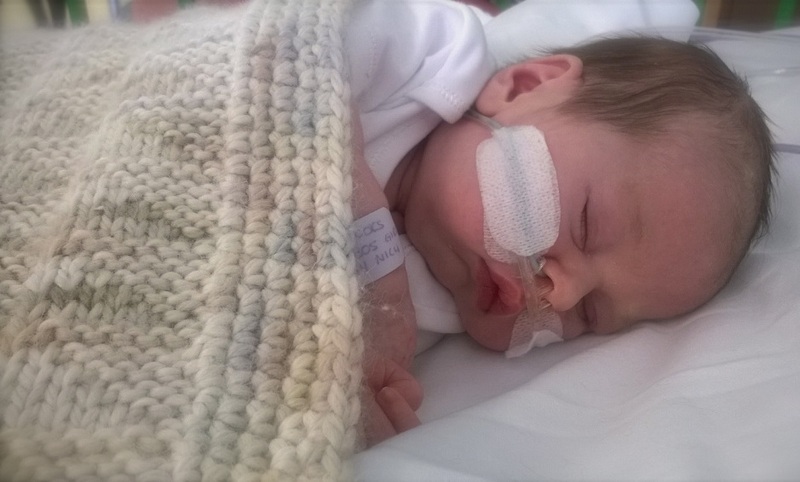 This dear sweet little baby girl has had a tough start to life, but is finding a smidge of comfort in her blankie. Her mum and dad cuddle her during the day in this blanket, and keep the blanket with them during the day so it has their scent, then when bubs is tucked in at night, she’s wrapped in the blanket to comfort her. I love to craft for so many reasons, but this… this is the very sweet heartwarming icing on the nourishing cake. I feel like in my own little way, I am putting out a teeny tiny incy wincy bit of goodness in the world. 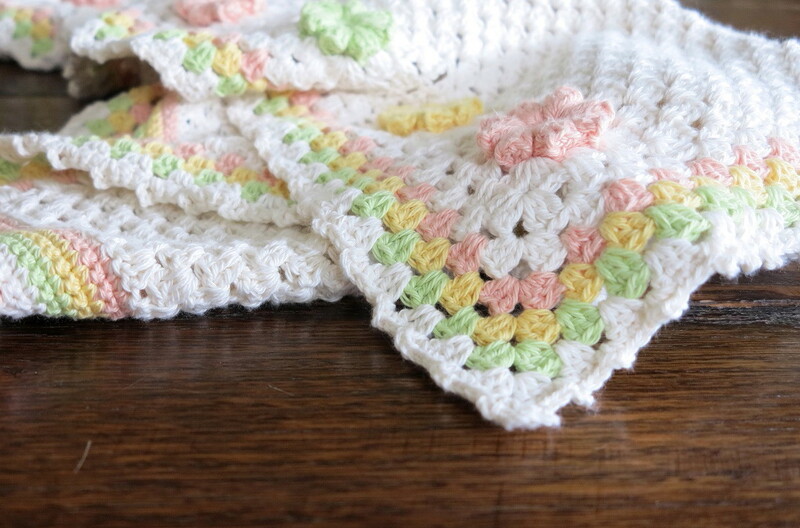 I know it’s only a crocheted baby blanket, but I am humbled and honoured by this story. Humbled to be a teeny part of it, and honoured to have had this story shared with me. How can this not warm your heart? How could you ever want to stop crafting babies blankets after hearing this? So I shall continue to follow my heart and craft, not just because I love it so much that I couldn’t stop if I tried, but because somehow, somewhere deep down, I really believe I am meant to. Sending healing thoughts out to all little bubs that need it. May goodness find you on this cloudy but very good Good Friday. 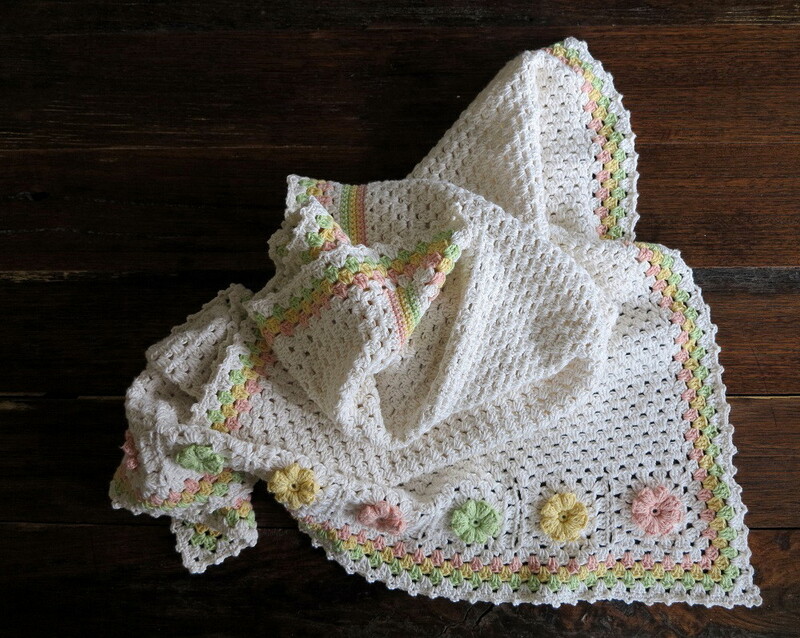 This entry was posted in craft, crochet, pattern, Photography and tagged 100% cotton, babies blanket, baby blanket, blanket, cotton, crochet, crochet flower, crochet pattern, flower, granny stitch, inspiration. Bookmark the permalink. people want more? I mean citrus blossom icing | is a little plain. You might look at Yahoo’s front page and watch how they create news titles to grab viewers to open the links.